What even is a Mead? Lone Bee Sparkling Mead is going to help me find more about this exotic and unusual concoction that I’ve only seen in ye olde television series and movies. Gluten Free too. 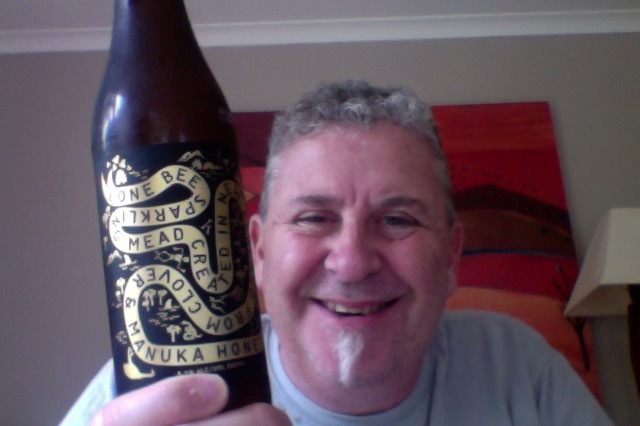 This is a 500ml bottle of beer that is 5.3% ABV, and it’s only about 159 calories a serve, This is 2.1 standard drinks in NZ. It’s also Gluten Free, always like the something for nothing thing. The artwork on the label is outstanding, gold on black, has a Moa, Skeleton, Ghost, Sea Monster, a Bee, another Bee, a Shark Fin and some mountains, a Volcano, and more, excellent! Mead then smells like a cider, with honey, thats a low key aroma that isn’t too scary. Pour is so pale it’s like lemon juice pale, and the little whisper of a head fell away, leaving a lightly carbonated beer sitting there bubbling gently to itself. The honey in the aroma is there, faintly, but it is there. Sweet, the sweeter again, the fix carries this over the tongue and finishes with, surprisingly more sweetness. I sat her pondering then realised I’d drank the all of it. It’s a softly compelling kind of a drink, the level of honey sweetness is clearly just right for this, and the soft carbonation also seems to work for it. Obviously I didn’t get overwhelmed or worn out by that level of sweetness and enjoyed it. Is it good though? It’s not really memorable, it’s just a soft drinking carbonated drink that happens to have some alcohol about it and a dash of honey. Would I share with a friend on a porch and set the world to rights? You know the answer is yes, for sheer audacity and unusualness this is clearly a beer to share. Just don’t do it first because that much sweetness does not set a platform for a larger hoppier beer that’s to come. Grooms‘ Exit Index combines the abandon of pop with the unease of American life in 2017, cloaking its hooks in a clamor of samples and distortion, its agitation. 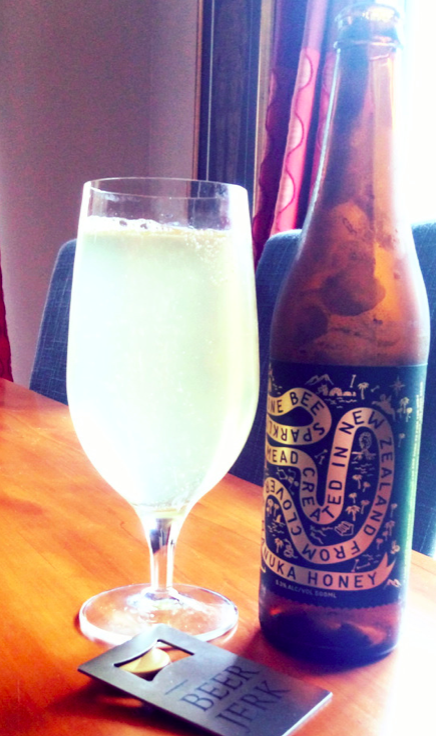 This entry was posted on October 28, 2017 by Philip Walter in Beer, Beer of New Zealand, Beer Review, Craft Beer, Critic, Lone Bee, Mead and tagged craft beer, Lone Bee, Mead, Sparkling Mead.